Norbord Inc. reports a steep drop in first-quarter earnings to US$7 million, saying severe winter weather held back the construction of new homes in North America. The wood panel producer, which keeps its books in U.S. dollars, earned 13 cents per share, down from $67 million, or $1.51 per share, in the same quarter last year. The Toronto-based company said Friday that demand in Europe remained strong, reflecting improving housing markets in the United Kingdom and Germany. Norbord said it doesn’t expect to restart its idled mill in Val-d’Or, Que., this year but will continue to monitor market conditions. The company said the North Central OSB benchmark price averaged $219 per thousand square feet, compared with $245 in the previous quarter and $417 in the same quarter last year. Nanaimo sawmill shooting victim Earl Kelly says he’s feeling very fortunate and at the same time saddened by the tragic death of his co-workers. From his hospital bed in Victoria General Hospital, the victim’s family said in a handwritten note forwarded to Island Health officials that they “would like to thank everyone for the outpouring of support. “Earl is showing steady improvement and has the comfort of his family,” it reads. Kelly remains in critical condition, according to Island Health. Kelly was airlifted to Victoria General Hospital yesterday morning after a gunman opened fire at Western Forest Products sawmill just before 7 a.m. Flowers and mementos line the fence Thursday at Western Forest Products near where Fred McEachern and Michael Lunn lost their lives days earlier. …Those who worked with McEachern remember the 53-year-old as a good manager and great minor hockey coach who never missed a game. Friend Bob Orr says it’s a huge loss. Orr said he still remembers McEachern coming to the rink after work with sawdust still on his shoulders. “You’d see the sawdust coming off,” Orr said. “Somebody would pat him on the back.” Friends and family of Mike Lunn, the second man who was killed, say he loved his forklift and always wore a smile and a red shirt. Today, one of his sisters and friends wore similar red shirts in his honour, many with special messages written on them. Canfor Pulp Products issued its quarterly earnings data on Thursday. The company reported $0.37 EPS for the quarter, beating the Thomson Reuters consensus estimate of $0.34 by $0.03, American Banking News reports. Canfor Pulp Products traded down 1.07% on Thursday, hitting $12.05. 34,390 shares of the company’s stock traded hands. Canfor Pulp Products has a 1-year low of $8.02 and a 1-year high of $13.10. The stock’s 50-day moving average is $11.42 and its 200-day moving average is $11.50. The company has a price-to-earnings ratio of 20.64. The company also recently declared a Quarterly dividend, which is scheduled for Tuesday, May 20th. Stockholders of record on Tuesday, May 20th will be given a dividend of $0.0625 per share. This represents a yield of 2.04%. The ex-dividend date of this dividend is Thursday, May 8th. This week’s fatal shooting of two Western Forest Products (WFP) employees and wounding of two others is “a terrible tragedy that saddens us all,” says a Squamish-based employee of the forest products company. The firm that operates the sawmill in Nanaimo where the tragedy occurred on Wednesday (April 30) used to operate the Woodfibre pulp mill on the shores of Howe Sound. In 2006, WFP closed the 94-year-old mill that employed some 323 workers. WFP still owns the 86-hectare Woodfibre site, which is the subject of a pending sale to a company that wants to put a liquefied natural gas facility there. Premier Christy Clark delivered the following statement in the legislature following the tragedy at Western Forest Products Mill in Nanaimo: … This kind of tragedy is almost unknown in British Columbia. Most of us here today cannot imagine what the victims and their families must be going through. They should know they are not alone. The people of British Columbia are standing with them. Victim support services are on the ground, available to workers and their families. NANAIMO, B.C. 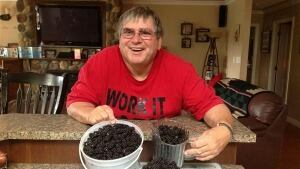 – A man accused of murdering two of his former colleagues and attempting to kill two more at a Vancouver Island sawmill lost his job and wasn’t rehired when the mill restarted, a former co-worker says. Kevin Addison, 47, is facing two charges each of first-degree murder and attempted murder following a shooting at a Western Forest Products sawmill in Nanaimo, north of Victoria. Police and the company have said little about Addison and have declined to speculate about what may have motivated the shooting, which police say started in the mill’s parking lot on Wednesday morning and continued into the facility’s offices. A 2011 evaluation of the Boat Harbour Treatment Facility showed several gaps in the current monitoring program. The Halifax Media Co-op published the hydrogeological and hydrological evaluation conducted by Stantec Consulting Ltd. after submitting an access to information request. Stantec’s mandate was to evaluate “existing groundwater and surface water compliance monitoring programs” that take place at the at the Boat Harbour Treatment Facility site. The study noted data gaps in groundwater and surface monitoring and a lack of mill effluent chemical characterization. For just the second time in history, a forestry company has become a member of the Canadian Council for Aboriginal Business (CCAB). Thanks in part to a strategic partnership formed between the Sustainable Forestry Initiative®, Inc. (SFI) and CCAB. 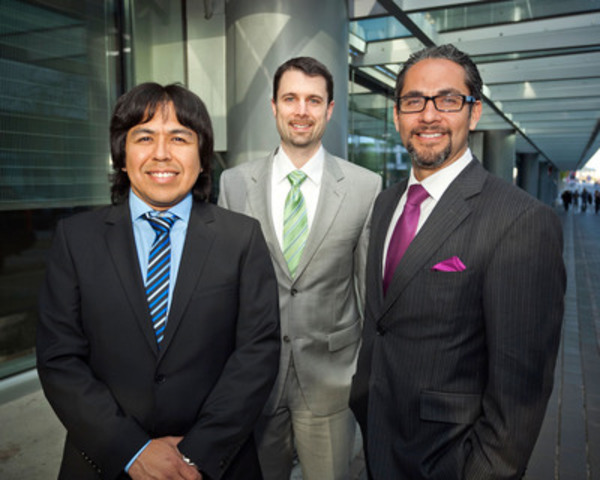 As Western Canada’s largest private timber and land-management company, TimberWest is proud to continue its commitment to forming valuable partnerships with Aboriginal business and communities. “Through the signing of a Memorandum of Understanding (MOU), SFI has leveraged CCAB’s Progressive Aboriginal Relations (PAR) verification program to help interested SFI Program Participants to raise the bar in their strategic relationships with Aboriginal communities,” said Kathy Abusow, President and CEO of SFI Inc.
MONTREAL – Resolute Forest Products says transportation bottlenecks caused by severe winter weather will likely linger for months, making it more difficult to ship pulp, paper and lumber to market. “Generally speaking we’re not getting the (railway) cars we need and obviously now we’re in the spring weight restrictions for the trucks, so it’s going to take probably until the end of June to clear the backlog to bring our inventory down to normal levels,” CEO Richard Garneau said Thursday after reporting the company’s first-quarter results. TMI Forest Products and Welco Lumber Company USA have become Alta Forest Products LLC, a partnership between longtime Western Red Cedar manufacturers. Morton-based Alta took over the ownership, operations and assets of the two companies on Thursday, including four manufacturing sites in Morton, Shelton, Amanda Park, Wash., and Naples, Idaho. Alta will continue to employ more than 400 and produce annually more than 300 million board feet of finished goods. “This agreement will help secure employment to the local communities and strengthen the regional economy built on the growing lumber industry,” the company said in a statement. Montes del Plata sources, –which is a joint operation of Sweden-Finland’s Stora Enso and Chile’s Arauco– admitted that the effluents plant will probably take some time before official commissioning because the final environmental licensing is still needed. …Once all is in order the pulp plant will need six months to reach full production, 1.3 million tons annually. With a capacity of 1.45 million tons Montes del Plata belongs to the short list of the largest pulp mills in the world. “This year production will reach a maximum of 400.000 tons”, estimated the sources. Final employment will be in the range of 350. During the construction period which demanded almost 1.5 billion dollars, an estimated 6.000 labor and different tradesmen were working at the site. CLINTON – The Province is enhancing economic opportunities and forest stewardship in the south Cariboo by signing a community forest agreement with the Village of Clinton, Forests, Lands and Natural Resource Operations Minister Steve Thomson announced today. The new community forest covers 62,000 hectares and will have an allowable annual cut of up to 20,000 cubic metres. The community forest is in the 100 Mile House Timber Supply Area and the agreement has an initial term of 25 years. The City of Montreal’s approach to dealing with the emerald ash borer is all wrong, says Hampstead mayor Bill Steinberg. He told CBC Daybreak host Mike Finnerty on Thursday morning that the city’s efforts to vaccinate the trees rather than chop them down is just delaying the inevitable. “Do you slow things down, or do you save the money and use it for replacing trees?” Steinberg asked. He said the bio-insecticide the city is using, TreeAzin, doesn’t outright kill the invasive species of beetle wreaking havoc on southern Quebec’s ash trees. This year’s wildfires could cost almost half a billion dollars more than what the U.S. Forest Service has budgeted, according to Department of Interior estimates. In a report to Congress released Thursday, DOI officials said they may need $1.8 billion for firefighting this season. But they have only $1.4 billion budgeted for the work. “While our agencies will spend the necessary resources to protect people, homes and our forests, the high levels of wildfire this report predicts would force us to borrow funds from forest restoration, recreation and other areas,” Undersecretary for Natural Resources and Environment Robert Bonnie said in a news release. CHEYENNE, Wyo. — Firefighters facing down a slow-starting wildfire season in most of the West are ready with more retardant-dropping aircraft than last year, and experts say drought-stricken California may need all the help they can bring to bear. 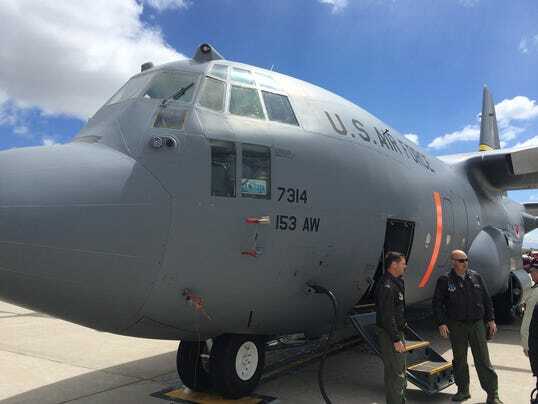 At this windswept Air National Guard base, pilots and ground personnel are practicing how to use some of the largest firefighting aircraft available, eight military C-130 cargo planes equipped with tanks blasting out up to 3,000 of gallons of retardant in as little as five seconds. 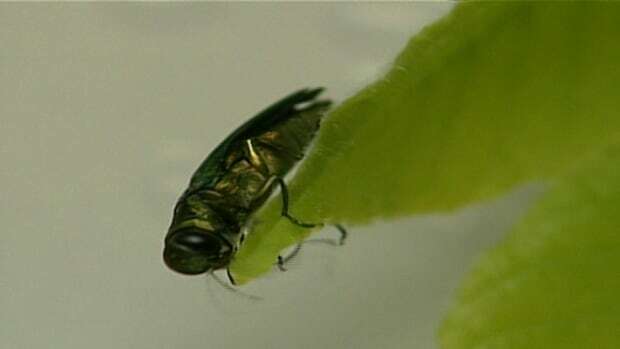 CONCORD, N.H.— There are signs of a second infestation of a destructive beetle targeting ash trees in New Hampshire. The Concord Monitor reports state forestry officials say the presence of the emerald ash borer in Merrimack County appears to be unrelated to one discovered in Concord last spring. The beetle has been detected on the border between Canterbury and Loudon in an area about 3 miles long by 2 miles wide. The emerald ash borer, a native of China, was first discovered in Michigan in 2002. It has been found in 22 states. 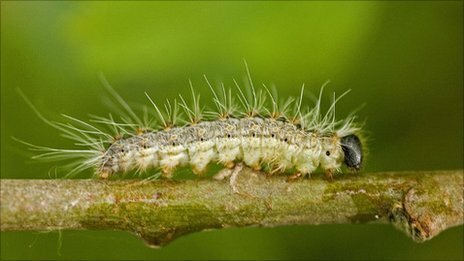 More woodland is to be sprayed with bacteria from the air to eliminate a toxic caterpillar, despite fears of the effect on other wildlife. Parts of Sulham Woods near Tilehurst, Berkshire, will be targeted by the Forestry Commission in May. The commission’s first spraying nearby sparked an outcry. A commission spokesman said it had found evidence the oak processionary moth, which destroys oak trees and is harmful to humans, was still present. THE reported comments last week in The Gisborne Herald from Ministers Brownlee and Joyce regarding a lack of interest in rail lack substance and do not reflect the true situation. The reality is that there is strong interest in and commitments to using rail in conjunction with logging trucks from among the forestry management companies involved with the forests in the Northern Hawke’s Bay area serviced by the Napier-Gisborne railway. This does not compete with the Gisborne Port catchment. If you think the 1930s drought that caused The Dust Bowl was rough, new research looking at tree rings in the Rocky Mountains has news for you: Things can get much worse in the West. In fact the worst drought of this century barely makes the top 10 of a study that extended Utah’s climate record back to the year 1429. With sandpaper and microscopes, Brigham Young University professor Matthew Bekker analyzed rings from drought-sensitive tree species. He found several types of scenarios that could make life uncomfortable in what is now the nation’s third-fastest-growing state.